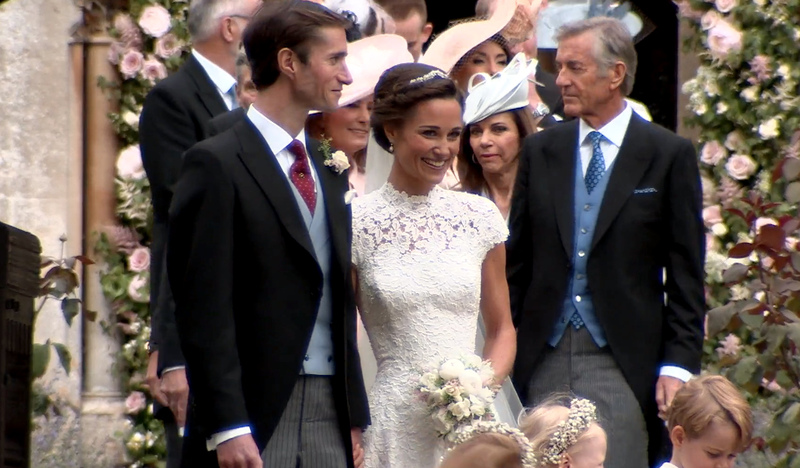 Yesterday was the day the Duchess of Cambridge’s sister Pippa Middleton tied the knot with James Matthews in Englefield and the Royal attended event had the press coverage given to official Royal events with the world’s press turning up to try to get a glimpse of the wedding party which included, Harry, William, Kate and or course Princess Charlotte and Prince George. 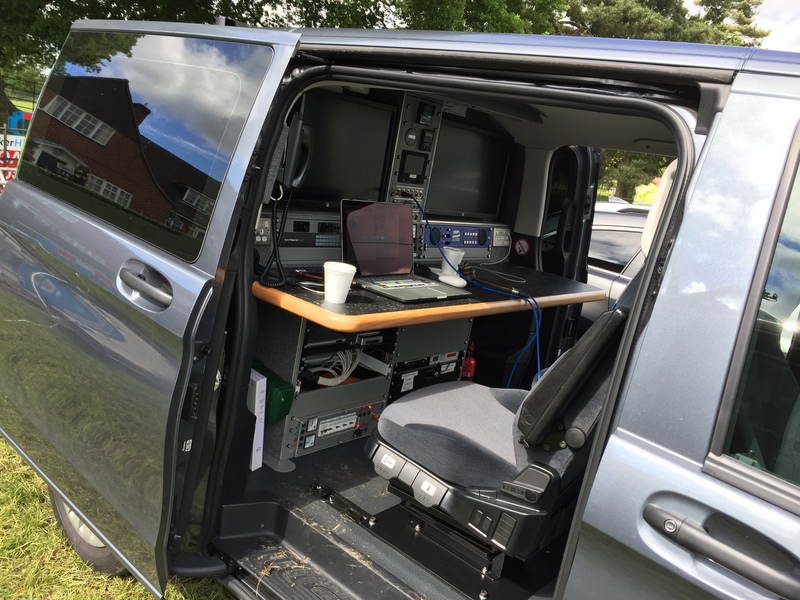 I was part of the BBC Team to cover the event and although I wasn’t shooting anything my job was purely to edit with Royal Correspondent Nicholas Witchell in the New dedicated edit vehicle LE3. Using a mixture of both file footage and the Pool footage shot by Gavin Campbell and Tony Day outside the church we put together a 1:45 piece that was used on both the Six and the Ten. 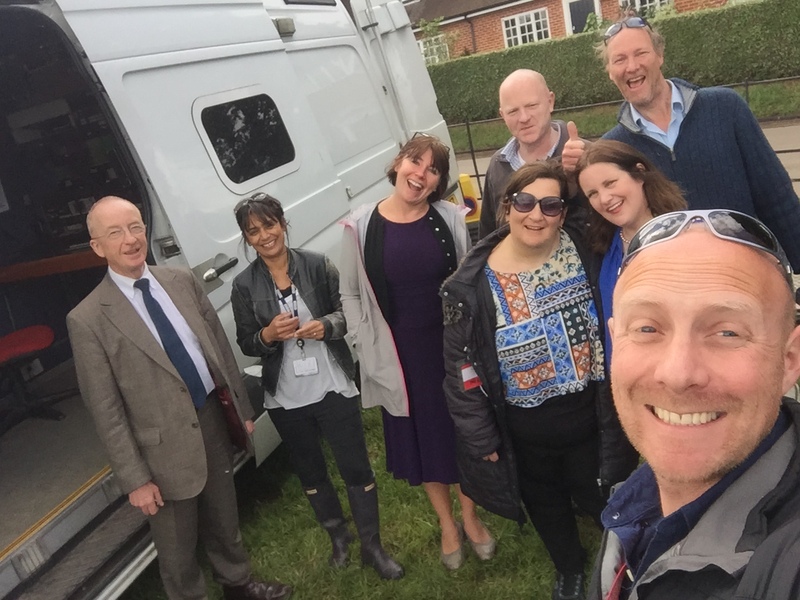 The BBC wedding coverage Team (Post event, hence the smiles).